You will want to consult a personal injury lawyer in San Diego if you’ve been injured as a result of someone else’s negligence, as you may have a personal injury case. Personal injury accidents can cause a broad range of financial repercussions, from medical bills to lost wages to even losing a job. Injuries may be permanent and result in long-term loss of enjoyment or other non-monetary damages. If you’ve been injured in an accident and suffered any damages as a result, you may need to enlist the aid of a personal injury lawyer. We have more than 30 years experience as personal injury attorneys in San Diego. Why Use a San Diego Personal Injury Attorney? Working with a personal injury attorney in San Diego at an experienced personal injury law firm, like the Law Offices of Philip M. Cohen A.P.C., can help you make a recovery in your personal injury accident. Without a La Mesa personal injury lawyer, insurance companies may make you lowball offers – or no offer at all. Insurers are in business to make money, and it’s standard claims practice not to offer you a penny more than you can document in damages. You will want an aggressive San Diego personal injury attorney to help you prevent being taken advantage of by insurance companies. When you work with a personal injury attorney in the El Cajon, La Mesa or greater San Diego area, you have an advocate on your side that knows the law. Our personal injury lawyers in San Diego can get insurers to give you the financial recovery you deserve; not a lowball offer that won’t even cover your medical bills. Don’t let the insurers take advantage of you. Give us a call for a free personal injury consultation. When you come in for a consultation with an injury attorney in San Diego, we’ll discuss your accident. If you have a case worthy of litigation, we’ll gather the necessary information and start by contacting the insurer. We document all of your bills and damages and present this information to the insurer. If possible, we’ll settle your case directly with the insurer. If the liable party won’t pay, we’ll file a lawsuit and begin preparing for court. Throughout this whole process, you don’t pay a penny; our San Diego personal injury lawyers only get paid if you win. It’s an unfortunate fact that people are injured on the job every day in the greater San Diego area. In some cases, the employer pays the medical bills, the employee gets the appropriate time off and disability pay, and everything works out fine. In other cases, though, the employer’s Workers’ Compensation insurer sends the injured employee to a medical center or emergency room that doesn’t help, or the injury is serious and carries potentially long-term consequences. If you’re having problems with your Workers’ Compensation insurer, don’t wait to resolve it. Enlist us to help. If you wait too long, important deadlines can pass and we may be limited in what we can do to help you recover medical bills, lost wages and other damages. Speaking with a San Diego workers compensation lawyer as soon as possible after the event is something you will want to do. On-the-job injuries happen every day. Construction sites are hazardous, but workers may also be exposed to repetitive motion disease, asbestos exposure, unsafe work environments or even car accidents during the course of employment. If you have had an injury like this, you may want to contact a workers compensation lawyer in San Diego. When you suffer an injury on the job as a result of someone’s negligence, your employer is responsible for paying your medical bills, lost wages and other costs associated with the injury. The Workers’ Compensation insurer doesn’t always want to pay, though. Don’t miss out on your chance to litigate your Workers’ Compensation case. Speak to our firm about working with a San Diego workers compensation attorney to find out what can be done to protect your interests. Here at the Law Offices of Philip M. Cohen A.P.C., we’ve got over 90 years of combined experience helping people in the greater San Diego area. But we’re also specialists in Workers’ Compensation cases. Our attorneys are experts in California Workers’ Compensation law; we know the judges at the Board; and our experience enables us to make important decisions about how to litigate your case. If you need a workers compensation attorney in San Diego, you won’t find a more qualified office. You could go with another Workers’ Compensation attorney in the El Cajon, La Mesa or San Diego area, but why settle for less? Call us today for a free consultation, and you won’t have to pay a penny until you win. Slip and fall accidents are always unexpected. They can happen anywhere, at any time. Sometimes, slip & fall accidents are just accidents. They couldn’t be predicted or prevented and there’s no legal ground to make a recovery, but sometimes slip and fall accidents could have been prevented. If you’ve slipped on a wet floor, tripped in a hole in the sidewalk, or suffered an injury as a result of some other preventable cause, you may have a case to bring to a slip and fall accident attorney. When is a Slip and Fall a Personal Injury? 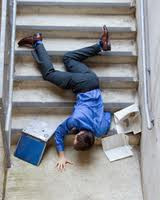 Slip and fall lawyers are well aware how tricky these accidents can be to litigate. In order to qualify as a personal injury, you typically have to prove that the owner of the property knew about a potentially dangerous problem and failed to address it. Every case is different, and this element of negligence can be difficult to prove. A San Diego premises liability attorney from Philip M. Cohen’s Law Offices can litigate your slip and fall accident case. Our slip and fall lawyers immediately begin to gather the facts and look for ways to effectively document your case. We may use photographs, accident reports, witness statements, or other relevant sources to prove that your accident was preventable. In some cases, we can prove that an owner was negligent in a slip and fall case even if they didn’t know about the condition. If a dangerous condition existed on the property, for example, and the owner failed to inspect it regularly, a premises liability attorney can demonstrate that the owner was negligent for failing to inspect the property. Every slip and fall case is different. San Diego reisidents in the El Cajon, La Mesa, or greater San Diego area in need of a slip and fall accident attorney can call the Law Offices of Philip M. Cohen A.P.C. Give us a call for your free consultation. Dog bite incidents affect millions of people every year. Nearly five million people report injuries from dog bites every year, and many more incidents go unreported. Hundreds of thousands of people require emergency room treatment for dog bites; and the most severely injured are often children. Unfortunately, because children’s faces are typically dog-height, many children suffer lasting facial scarring and injuries. The most severe dog bites may require extensive surgery and may cause lasting consequences. California law holds dog owners responsible for dog bite attacks. Whether you or a loved one was injured by a dog running loose, a dog at the park, or a dog on the leash on the sidewalk, the owner is considered the liable party for a dog bite attack. The dog owner’s homeowners insurance should pay your medical bills and other costs associated with the dog bite attack. Dog bites may leave lasting psychological damage, too, and may require counseling or other treatment beyond immediate medical attention. If you were recently involved with a malicious dog bite, you can turn to the San Diego dog bite attorneys at the Law Offices of Philip M. Cohen for help with any litigation. When you’re injured in a dog bite attack, you should first attempt to identify the dog. 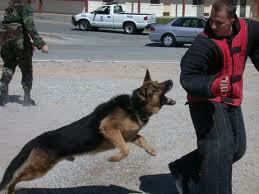 If the owner is present, find out if the dog is vaccinated and get the owner’s information. If you’re attacked by a stray dog or no owner is present, you may need to undergo a painful series of rabies vaccinations. Seek immediate medical treatment for dog bite incidents. Dog bites often become infected because of the bacteria contained within a dog’s mouth, and an immediate course of antibiotics can help negate this infection. Dog bites may also cause lasting, long-term damage, such as nerve damage or substantial scarring. After you’ve undergone treatment and are physically safe, you may need to contact dog bite lawyers. The San Diego dog bite lawyers at the Law Offices of Philip M. Cohen A.P.C. have over 90 years of combined experience and we know how to proceed with a dog bite injury case. Whether you’re having trouble with the insurer or haven’t even gotten that far, we can help. Call us today for a free consultation. Your San Diego car accident or workplace injury can lead to more long-term consequences than you expect. Beyond the immediate medical bills, these types of accidents can lead to Reflex Sympathetic Dystrophy – a long-term disease that can have serious consequences. If you’ve developed RSD after a San Diego personal injury accident, you need to enlist the aid of an experienced San Diego Reflex Sympathetic Dystrophy attorney. Reflex Sympathetic Dystrophy, or RSD, is a disease that can cause painful, lasting consequences. You may develop RSD after an injury, a heart attack or stroke, and doctors are still not sure what exactly causes the injury. As understanding of RSD has grown, it has been reclassified as Complex Regional Pain Syndrome, or CRPS. Loss of muscular function or muscle spasms. Left untreated, Reflex Sympathetic Dystrophy can lead to muscle wasting and contractures, joints that are stiff and difficult to and other irreversible, permanent consequences. RSD/CRPS is still a fairly new condition that is being explored in the medical world. Many physicians don’t immediately think of RSD when patients present with these symptoms. The Law Offices of Philip M. Cohen A.P.C. works with medical professionals who can help diagnose and prove your condition, and get you the treatment you need. With the aid of our experts, we can prove your condition to insurers and ensure you’re fairly compensated. Don’t take a chance with your health. Let us represent you, and we’ll make sure your insurer learns about your RSD, covers your medical treatment and compensates you appropriately. Brain injuries are serious injuries that often leave survivors with lasting effects. A brain injury may be permanent and may change your quality of life forever, or it may be short-term and have a decent prognosis for recovery. Many people incur brain injuries without even realizing it; a car accident, sports injury, slip and fall or other type of accident can lead to a brain injury even if the event itself doesn’t seem particularly severe. Brain injuries can occur without a loss of consciousness, and may still cause lasting changes to behavior, brain function, memory, headaches or other long-term consequences. In short: brain injuries are serious events with lasting medical consequences. Penetration injury: caused by objects penetrating the skull and injuring the brain. The severity and type of brain injury typically determines the long-term prognosis and likelihood of recovery. Mild and moderate brain injuries may still cause lasting consequences, and serious brain injuries often have no prognosis for recovery, and can be fatal. Treatment and recovery may require rehabilitation, and may include adapted driving assessment and training, inpatient and outpatient services, community integration services, neuropsychological services and peer support and mentoring programs. Let the Law Offices of Philip M. Cohen A.P.C. 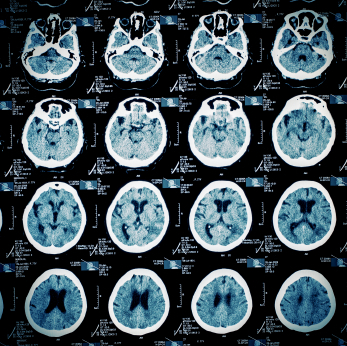 help with your greater San Diego area brain injury case. We understand the long-term implications and can make sure you get the best possible financial recovery. Call today for your free consultation. Thousands of people every year suffer spinal cord injuries as a result of car accidents, sports injuries, motorcycle accidents, pedestrian accidents,bicycle accidents, work injuries and other unexpected accidents. Many people in the greater San Diego area are struggling with the long-term effects of spinal cord injuries, including paralysis, diminished quality of life, expensive medical bills, job loss, loss of enjoyment, loss of consortium and other life-altering consequences. If you’ve suffered a spinal cord injury in El Cajon, La Mesa or elsewhere in the greater San Diego area, we’re here to help. These types of spinal cord injuries can cause paralysis, paraplegia, quadriplegia, loss of bladder or bowel control or loss of sexual function. San Diego spinal cord injury victims may face a long road to recovery, or may suffer permanent and lasting damages from their injuries. Why Use a Spinal Cord Injury Lawyer? 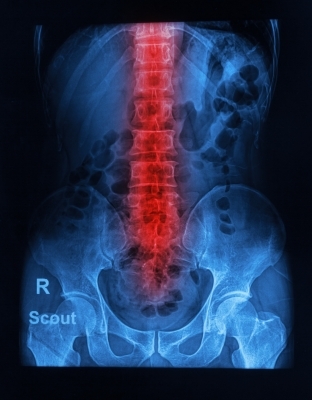 Spinal cord injuries are a form of catastrophic injury with serious, long-term consequences. This type of injury will change your life. Here at the Law Offices of Philip M. Cohen A.P.C., we have over 90 years of combined experience in personal injury law. We have the legal background to litigate your case, and medical experts who can accurately analyze the long-term affects of a spinal cord injury on your present and future lifestyle. We can help you get a financial recovery not only for medical bills you’ve already incurred, but for future medical bills, lost wages due to an inability to work, compensation for a diminished quality of life and other financial damages associated with a spinal cord injury. If you live in the greater San Diego area and have suffered a spinal cord injury, don’t compromise or settle: call us for your free consultation. Big businesses are so eager to make money these days that they often rush products out the door without sufficient testing. Sometimes the products malfunction or don’t perform as expected and cause injuries to the unsuspecting consumers who purchase them. If you or a family member has been injured by a defective product, you may have legal recourse. With the aid of experienced defective product lawyers, like the professionals here at the Law Offices of Philip M. Cohen A.P.C., you can pursue a product defect claim against the manufacturer. The negligent manufacturer of a defective product may be liable for your medical bills. In many product defect cases, juries award large settlements to penalize careless manufacturers focused solely on profit. Our San Diego product liability lawyers can ensure that your case brings the proper attention to the industry so that no one else is injured by the negligent manufacturer’s products, and may even prompt a recall that keeps other consumers safe. Defective or poorly-designed products may fail and cause injury to the user for many reasons. The fault could be a design flaw, poor-quality manufacture, or simply a lack of instructions or warnings. Depending on the flaw that caused the injury, the designer may be liable. In some cases, it may be the manufacturer. The company selling the product may share liability. Because of the complicated nature of product liability litigation, assistance from product liability lawyers is essential. Our first priority as San Diego product liability lawyers is determining who is at fault in a defective product case. We’ll talk to you about how the product failed, how you or your family member were injured, and who is responsible things went wrong. After a thorough evaluation, we can pursue the claim with the appropriate party, and litigate if necessary. Don’t let big businesses get away with causing injuries to innocent consumers. Call us today for your free consultation. 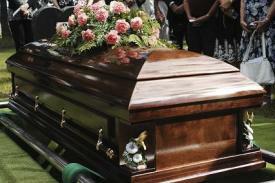 A wrongful death occurs when someone is killed as a result of another party’s negligent actions. If you’ve lost a family member as a result of a car accident, work accident, product defect, motorcycle accident or other negligent act, you may be eligible to file a San Diego wrongful death lawsuit. Here at the Law Offices of Philip M. Cohen A.P.C., we understand that nothing will ever bring your lost family member back. But losing a beloved family member can result in financial hardship; especially when that person was the primary earner in your family. In a wrongful death lawsuit, you may be entitled to recover lost wages, costs for medical bills, funeral expenses and other financial losses caused by the death of your loved one. You may also be eligible for a financial recovery for survivor’s pain, suffering and mental anguish caused by the death of your family member, as well as loss of companionship, care or protection. In some cases, you may be able to claim punitive damages. A financial recovery can never bring your family member back. But it can help prevent additional hardship for your family as you move forward and attempt to cope with your loss. Let our firm bring our 90+ years of combined experience to help you resolve your wrongful death claim in this difficult time. 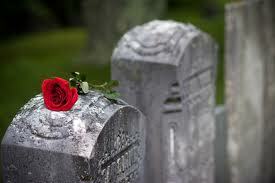 Let us focus on the case, while you focus on helping your family move forward after your tragic loss. As San Diego accident attorneys, we have had clients that had work injuries often occur without warning, These are not always dramatic events that lead to an immediate emergency room visit. A work injury can be a sudden, specific event, such as a construction site accident, fall from scaffolding or other event that causes an injury. Each accident lawyer at our San Diego office has also seen work injuries can also be cumulative injuries that occur over years of doing the same type of activity over and over again. These injuries often occur gradually and without dramatic warning. 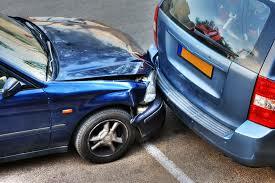 These events may be times when you will need to consult with a San Diego accident lawyer. If you’ve suffered any of these workplace injuries, your employer may have a duty to compensate you for medical bills and other costs. Work injuries may also lead to long-term consequences that require compensation. Please consult our accident attorneys in San Diego to find out more about what can be done to help you. When you’re dealing with a work injury, you’re not always looking at immediate medical bills. Many work injuries bring long-term consequences. 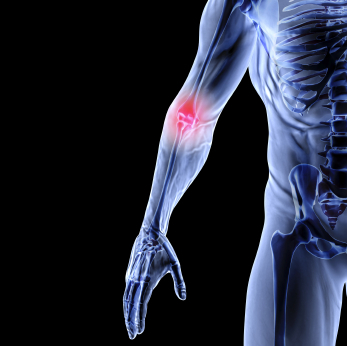 Cumulative injuries, such as carpal tunnel syndrome, may become chronic and may cause lasting effects. A workplace injury can also lead to a compensable consequence, which is a side effect of a work injury. For example, if a physician prescribes painkillers to treat back pain caused by a workplace injury, and then the painkillers cause kidney damage, that may qualify as a compensable consequence: something that happened as a result of the injury. If you’ve suffered a workplace injury in El Cajon, La Mesa or elsewhere in the greater San Diego area, give us a call. 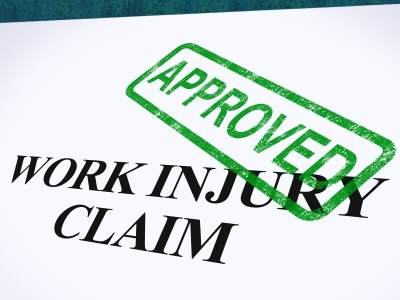 We specialize in Workers’ Compensation cases, and can help you get the recovery you deserve. As accident attorneys in San Diego, we have been handling these kinds of cases for several decades. Car accidents can change your world in an instant. 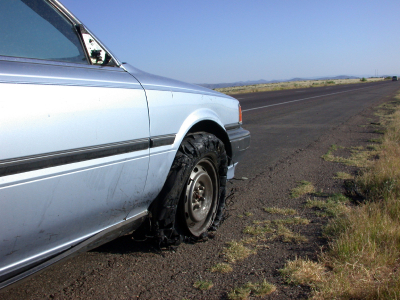 If you’re lucky, a San Diego car accident is minor and you’re only looking at property damage to your vehicle. In a more serious car accident, you or a family member may be injured, and thousands of car accidents per year are fatal. When your car accident is caused by someone else’s negligence, their insurance company is responsible for paying your bills. However, this is rarely as easy as it sounds; most of the time, insurers are reluctant to pay what you’re entitled to. By consulting a car accident lawyer in San Diego, you can help get the best result after the injury. Car crash injuries run the gamut from minor to severe. You and your family members may incur scrapes and bruises, broken bones, soft tissue damage or whiplash, or more severe injuries. In serious collisions or accidents with truck drivers, you could suffer a spinal injury, a brain injury or even fatality. Consult a San Diego car accident attorney and enlist the aid of someone who understands the process and types of injuries you’re likely to incur, and can help you look at the big picture. You may incur future medical expenses and other losses beyond the initial injury, so let us help you determine what a car accident really costs you. If you’re having trouble collecting what is owed to you from the insurance company, the Law Offices of Philip M. Cohen A.P.C. can help. We’ve got 90 years of combined experience, and we know how to deal with insurers. Your auto accident lawyer in San Diego will start by documenting your damages; obtaining copies of your medical records and bills to present to the insurer. Then we’ll look at other damages you might have incurred, such as lost wages from time off work, property damage and other expenses. If the insurer won’t pay, we’ll file a lawsuit and litigate to get you the recovery you deserve. We serve car accident victims in the El Cajon, La Mesa and greater San Diego area, and we can help you. Call our San Diego injury attorneys today for your free consultation. Most of the time, it’s not motorcycles that are dangerous, but the other drivers. Motorcycle accidents affect thousands of riders every year; the National Highway Traffic and Safety Administration reports over 4,500 motorcycle fatalities every year, and over 84,000 injury-causing accidents. 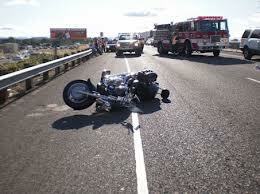 Enlist the top San Diego motorcycle accident lawyers to be on your side in a motorcycle accident case. The most common cause of motorcycle accidents is other drivers reporting: “I didn’t see him!” Not seeing you is no excuse for a driver’s negligence that causes you substantial property damage and potentially serious injuries. Left turns and turns out of parking lots into motorcyclists are two of the most dangerous types of motorcycle accidents, but drivers find any ways to collide with motorcyclists. But with the help of experienced San Diego motorcycle accident attorneys, residents of America’s finest city can get the recovery they deserve. When you’re involved in a motorcycle accident, the property damage is typically substantial. Most motorcycles are expensive to repair, and many motorcycle accident cases result in totaling the motorcycle, which can easily translate to $7,000 to $10,000 in property damage. Additionally, you might lose expensive motorcycle gear, GPS and other devices that add up to thousands of dollars in damage. Motorcycling can be an expensive hobby, and you should recover every penny that a negligent driver costs you. Unfortunately, motorcyclists are completely exposed, and a motorcycle accident often causes substantial injuries. If you’re lucky, you may only be looking at some scrapes and bruising, or maybe some broken bones. If it’s a serious accident, you could easily be looking at internal bleeding, spinal damage, brain damage or other serious injuries with long-term repercussions. Motorcycle injuries can add up to hundreds of thousands of dollars, and the long-term costs can rise even higher. If you’re looking for motorcycle accident attorneys, the San Diego injury lawyers at the Law Offices of Philip M. Cohen A.P.C. can help. Call us today for a free consultation. Let us help you get the recovery you deserve in your motorcycle accident case. Riding a bicycle may seem like an enjoyable pastime or a simple method of communication, but bicycles can be deceptively dangerous. The National Highway Traffic and Safety Administration reports that over 50,000 people are injured or killed every year in bicycle accidents. The mild weather in the greater San Diego area means that many people commute locally on bicycles, and California has more than its share of bicycle accidents. Over 10,000 injury accidents and 100 bicycle fatalities occur in California every year; many of them in the San Diego areas of El Cajon, La Mesa and the neighboring locales. Because bicyclists lack the protection of a large vehicle, bicycle accident injuries are often more severe than in other types of accidents. As many as 75% of bicycle fatalities are a result of head trauma, so many bicyclists incur brain injuries in their accidents. 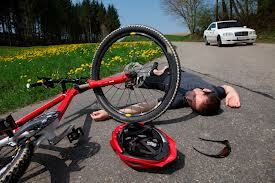 Spinal cord injuries and broken bones are also common in San Diego bicycle accidents. These types of serious, long-term injuries quickly become expensive, and they carry lasting implications. Many people who suffer brain injuries never recover to their former lifestyles, and may not be able to return to work or enjoy the same quality of life as before the accident. A spinal injury can leave an unlucky bicyclist in a wheelchair for life, and these types of long-term accidents translate to expensive damages. Additionally, the surgery and immediate medical treatment required for serious bicycle accident injuries can quickly add up to tens of thousands or hundreds of thousands of dollars in medical bills. You shouldn’t have to pay these bills; the negligent driver who caused your accident is responsible. Let San Diego’s injury law firm be your advocate. Call the Law Offices of Philip M. Cohen A.P.C. for a free consultation today, and we’ll use our 90 years of combined experience to get you closure and financial recovery for your El Cajon, La Mesa or San Diego area bicycle accident. Sexual abuse is a serious crime that has recently garnered a lot of attention. The public outcry against sexual abuse is well-warranted, and the negative attention that the Catholic Church has received has raised awareness of sexual abuse situations. However, sexual abuse still affects many children and teens every year. California has some great resources to help victims of sexual abuse, but a civil sexual abuse lawsuit can help provide the financial recovery to pay for psychological treatment, medical care and any other damages associated with sexual abuse. If your child has been the victim of San Diego sexual abuse in the greater San Diego area, give us a call. With the large numbers of people coming forward about sexual abuse at the hands of the Catholic Church, it’s not just children that need help with their sexual abuse cases. In some cases, adults who have been victims of sexual abuse at a younger age never report their abuse, and then consider coming forward years later. If you’re an adult who has been a victim of sexual abuse, it may not be too late to come forward and seek restitution. California statute is specific about how long an individual has to come forward in a sexual abuse case, but depending on your circumstances, you may still be eligible to file a case. Contact us as soon as possible to discuss your circumstances and determine whether you can pursue a San Diego sexual abuse civil lawsuit. At the Law Offices of Philip M. Cohen A.P.C., we understand how difficult it can be to discuss and report instances of sexual abuse. We’ve worked with sexual abuse victims, and we pride ourselves on handling your case with tact and compassion. Let us use our 90+ years of combined experience to get you a positive recovery. Give us a call today to schedule an appointment.